Already sold a Wilson A2000 EL3 to a teammate and exchanged a USA HOH custom. What do you think of the mizuno? Love it. My gamer till the HOH and PP break in more. There was a little pain in my pinky/back of the hand area at first, but i put some vasoline in the tiny spot and now its great. Very nice smooth leather. how´s the leather in the ssk? Very nice. My longest break in. However, it is tiny for an 11.5 and feels like an 11. I would go with an 11.75 if I had to make it again. Very light as well. Is the one in the top right for sale? Unfortunately, no. It's still being broken in and is a great glove. I'm a little mad I left it in my backseat for a couple hours by accident, but I still plan on using it for home games this summer. I'm pretty sure you can find it at homerunmonkey.com. PRO200-1. What do you think of the Nike? I bought it for my 9 year old brother for next year as it was going for $50 at baseballsavings.com. It's very nice for a sub $100 glove but is too small inside for an adult hand, or at least mine. I would not use it myself, but I think it's perfect for kids from ages 9 to about 14. I have the exact same black PP at the top and was wondering how the HOH PRO2000-1 and the custom ssk compare to it. Quality of leather, construction, and just how they feel as in softer or stiffer. The black PP is my game glove right now. The PRO200-1 was bought before the PP and still is not broken in nearly as much, which makes sense as it is a HOH. The PRO200-1 has a great shape and is extremely stiff still and has dry leather, the only area I oiled was a small area over the middle finger so I could push down a groove on the outside for my index finger out the back (I do 2 in the pinky). The black PP is very firm but soft and has a nice silky feel inside as I'm sure you know. The HOH is harder everywhere but is still extremely comfortable. Every game I think of taking it out for the game, but chicken out as it isn't as broken in as the PP yet. The SSK is also great, but is far too small for my use. It is an 11.5, but feels like an 11 or 11.25. Similar to the PP only smaller and flashier. I'm up for trades - I'm looking for an ALL camel/blonde 11.5. Thanks for the info. Im trying to find one of those PRO200-1's but all I can get is the new Troy Tulowitzki PROTT2 model. I dont think it would be that big of difference but I really like the PRO200-1. Do you know where you could find one. 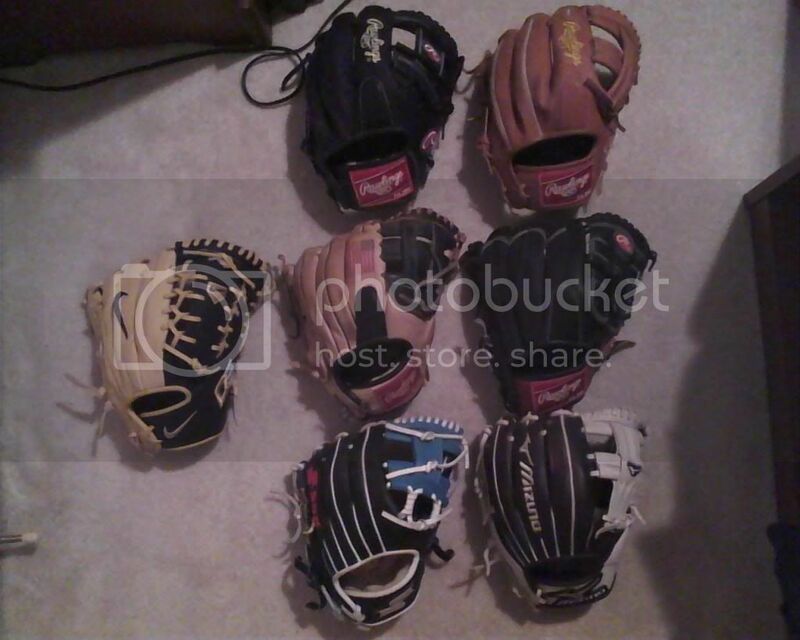 I dont have that many gloves. The black PP, a 1786SS, and a 12 inch black pro flare that I use to pitch with. I had gotten mine off homerunmonkey.com, but I just checked and couldn't find it again. Check ebay once in a while, I've seen them before. I love my PRO200-1, but I'm sure the PROTT2 is nice as well. I prefer the PROTT2 look purely because of the lack of finger pad, but the PRO200-1 has made the perfect pocket for me, not too deep not too shallow.